With the Thanksgiving holiday the busiest travel days of the year, millions are hitting the road to drive to their loved ones. 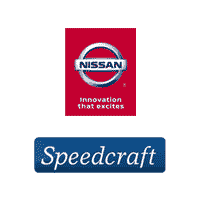 Your team of experts at Speedcraft Nissan can help keep your trip trouble-free. Before visions of turkey, stuffing and football dance through your head, however, think about tires, wiper blades, battery, an emergency road kit and a vehicle inspection. Proper planning ahead of time can head off any issues that can delay your arrival. Check tire pressure. Ask your technician to check the pressure and tread depth on all the tires, including the spare. While checking the tread, technicians can find uneven tire wear that can indicate alignment, suspension or wheel balance problems that need to be addressed to prevent further damage. Check wiper blades. Wiper blades should completely clear the glass with each swipe. Have them replaced if they leave streaks or miss spots. Also, make sure the windshield washer reservoir is filled with a cleaning solution that will not freeze in cold weather. Check the battery. Speedcraft Nissan technicians can make sure the battery cable connections are tight, and the terminals aren’t corroded. If the battery is more than three years old, it’s a good idea to have it tested to determine how much life it has left. Pack an emergency road kit – It’s always a good idea to carry an emergency kit with an ice scraper and snow brush, sand, cat litter, or traction mats, a small shovel, gloves, hats and blankets, a flashlight with fresh batteries, shop rags or paper towels, jumper cables, warning flares or triangles, drinking water, non-perishable snacks, extra warm clothes, a first-aid kit, basic hand tools and a e phone and car charger. Inspect your vehicle. You might as well get this task done before traveling. Speedcraft Nissan can conduct a thorough inspection to identify potential problems before they put a damper on holiday travel.